The popular Salutations Service, that is chanted during the period of Holy and Great Lent, gives us all the opportunity of communicating with Heaven through prayer and seeking divine mercy, of which we have so much need. 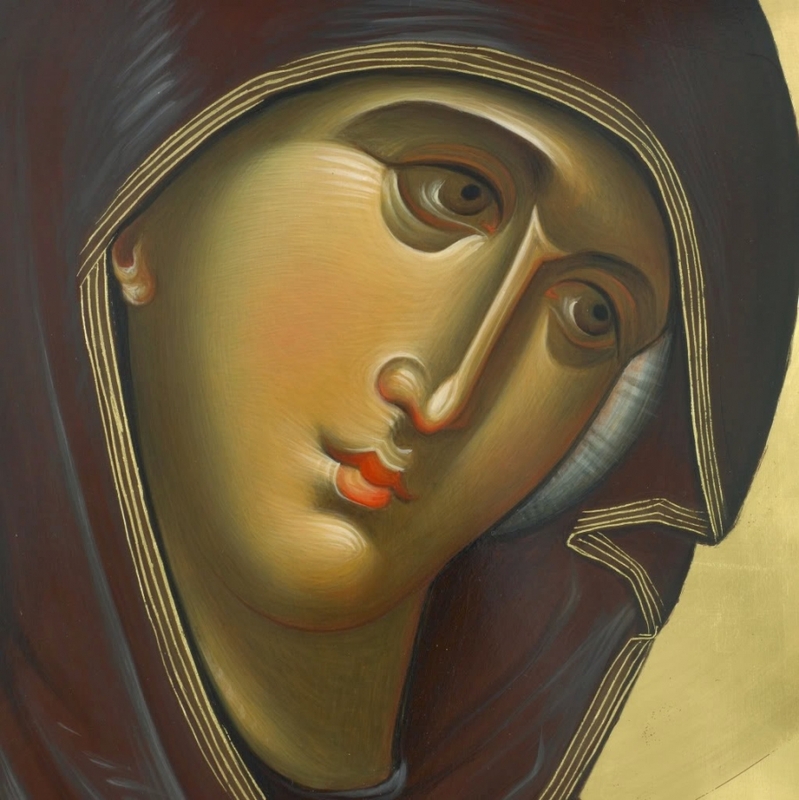 It also gives us the opportunity to communicate with the Most Holy Theotokos. For us she is the Mother of Christ, as well as our own mother. She is the golden pitcher and the inexhaustible source of the living water of God. She is the one who has redeemed us from the gloom of Hades bringing to the world the Only Begotten Son of God. She is the person who covers us from adverse injuries and frees us from the fog of passions and the moonless night of demonic disturbances. She is at the same time the harbor of souls, windless and quiet, where the souls of Christians anchor to protect themselves from the merciless waves of the sea of ​​this life. She is also called a harbor by the unknown poet of the Kontakion of the Akathist Hymn: "Rejoice for you prepare a safe harbor for our souls." First, a harbor is not only a protective space in which ships and people resort to escape the agitation, the uproar and the huge waves of the sea, or even only the expected destination of anyone at sea, but also the undisturbed harbor of salvation. The harbor of the Panagia is safe and replenishing. There is joy and strengthening, peace and bliss. And just as she choked sin by drowning the noetic pharaoh, so we also through her can ward off the attacks of those disposed to evil in her harbor and anchor the ship of our life in the harbor of the Kingdom of Heaven. If we attain our salvation, it will depend on the communion we have with "she who gave birth to the Lord," as well as her many intercessions and entreaties, "for the prayers of a mother avails much to favor the master." How wisely this truth is emphasized by the Saints of our age, Saint Seraphim of Sarov, Saint Paisios, Saint Pophyrios, Saint Sophia of Kleisoura, who advised us to grab the hand of the Panagia in order to reach the harbor of salvation. Second, the Theotokos is a harbor. A harbor of salvation from dangers, difficulties, needs, and the vicissitudes of this present life. Let us always flee to this harbor in our lives, and particularly in the difficult times our country is facing as well as all of us. 1. Apolytikion for Venerable Ascetics in the first tone "The citizen of the desert." 2. Theotokarion, Tone 4, Friday Vespers, 6th Ode. 3. Theotokarion, Tone 2, Wednesday Vespers, 4th Ode. 4. Theotokarion, Tone 2, Thursday Vespers, 1st Ode. 5. Γεωργίου Κρουσταλάκη, Γέρων Εφραίμ Κατουνακιώτης, εκδ. Εν πλω, Αθήνα 206, σελ. 468-493. 6. Theotokarion, Tone 2, Wednesday Vespers, 8th Ode.